Combine syrup and lemon juice in a pint glass or jam jar. Add 4 or 5 ice cubes and then the vodka. Shake vigorously and serve straight up or on the rocks. Top with seltzer water. 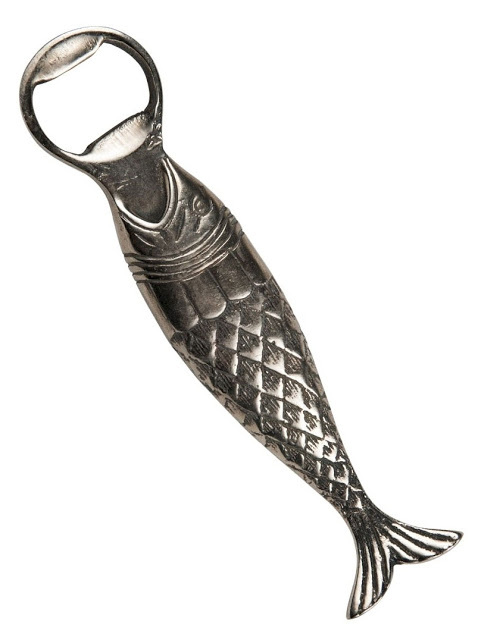 Or if that's too much work, I may just open a cold one with this cutie opener.